Tomorrow Maze de Boer and me will leave for Beirut. We will be the guest of Helen Karam visual artist and Director of the Babel Theatre. We met each other last year during the Prince Claus awards. 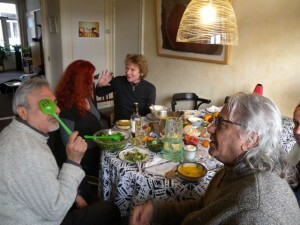 Later we had a lunch in my house. 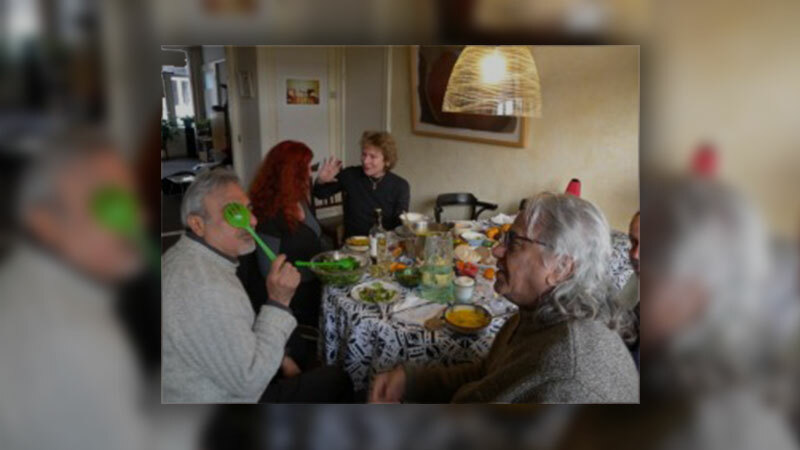 On the picture you see Samuel Shimon ( writer and editor from Banipal Magazine) with green pot ladle and Jawad Al-Alssadi art director and founder of the Babel Theater and Nicoline Nagtzaam scriptwriter (hand up) and Helen Karam. Maze and me will give an introduction to our work and explore the possibilities of making new work.